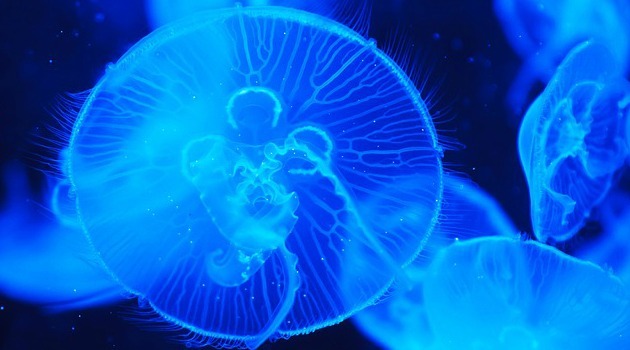 Scientists have looked into the importance of bioluminescence in deep-sea dwelling creatures and found more information than they were expecting. Most of us will never get to see the mysterious deep depths of our oceans but we know of bioluminescent fish that light up the dark waters. Scientists have now discovered bioluminescence is more common in fish than previously thought and has evolved a serious amount of times. Researchers have studied the region known as the deep scattering layer, around 1,000 to 1,500 feet beneath the ocean’s surface, and found a plethora of glowing fish – an previously underestimated amount. Bioluminescence is a chemical process used to produce light and has evolved in fish for communication, hiding from and confusing predators and also luring its prey. In fact it’s so important to these marine creatures that scientists have found the bioluminescence element has evolved independently around 27 times starting around 150 million years ago. Matt Davis, an ichthyologist at St. Cloud State University in Minnesota, and lead the study says this research shows the significance of how the fish use and need light in the deep oceans. Previous studies on bioluminescent organisms using Darwin’s Tree of Life model had shown that the ability to produce light had evolved 40 times, however this new study shows it happened many more times than that. The study also found that fish that use bioluminescence for communication such as reproduction and feeding have managed to produce many more species than expected which they think comes down to the glowing light attracting mates with specific light displays attracting specific fish. The study brings up many questions including how bioluminescent ability evolved in the first place and why it hasn’t evolved in freshwater fish living in dark caves.